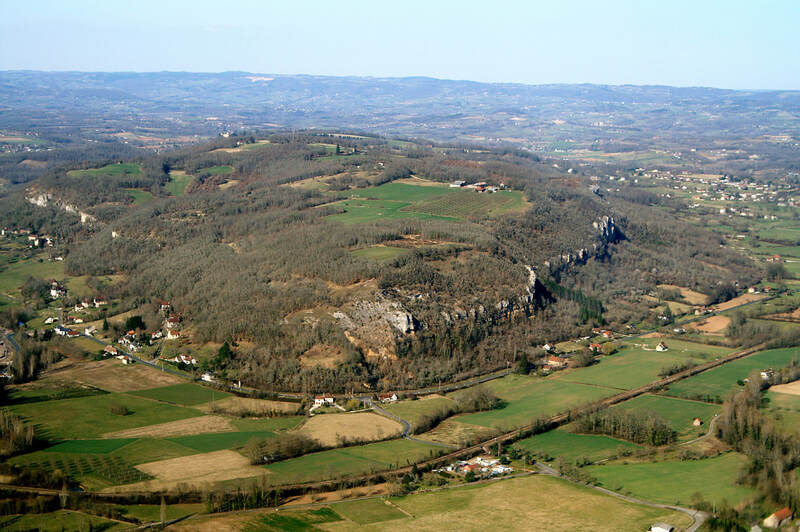 Puy d'Issolud, the museum was created in Martel to receive the objects discovered by Antoine Laurent-Bruzy when he carried out excavations at the Loulié spring. 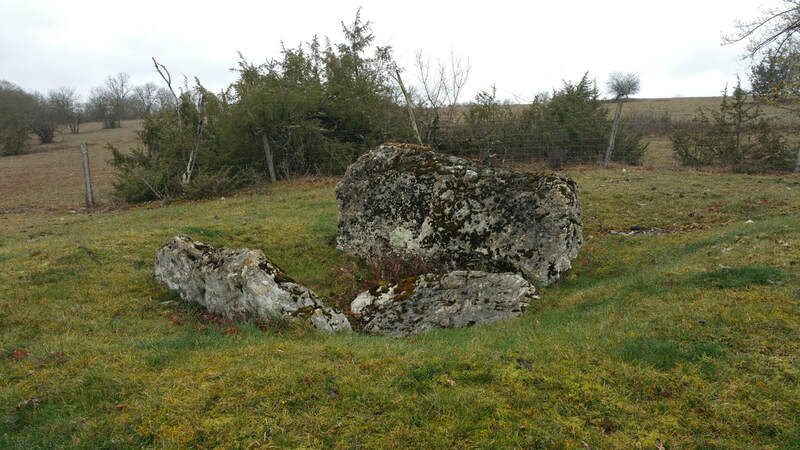 Thanks to the recent excavations of Jean-Pierre Girault with a team of experts and volunteers, Puy d'Issolud is now officially recognised as the site of Uxellodunum, and will presently undergo rehabilitation. The museum is located on the second floor of the Palais de la Raymondie in Martel, one of the oldest buildings in this ancient town of the Vicountcy of Turenne. Besides the permanent collections from prehistory to modern times, it also houses temporary exhibitions. Adjacent to the museum is a deposit of excavations which holds objects of interest from the territory of northern Lot. for school or tourist groups of 10 or more. please make contact with the association. This exhibition traces the extraordinary history of Puy d'Issolud over the centuries. Iconic site of the last battle of Caesar in Gaul! Explanatory panels, photographs, drawings and many archaeological objects from ancient and recent excavations. 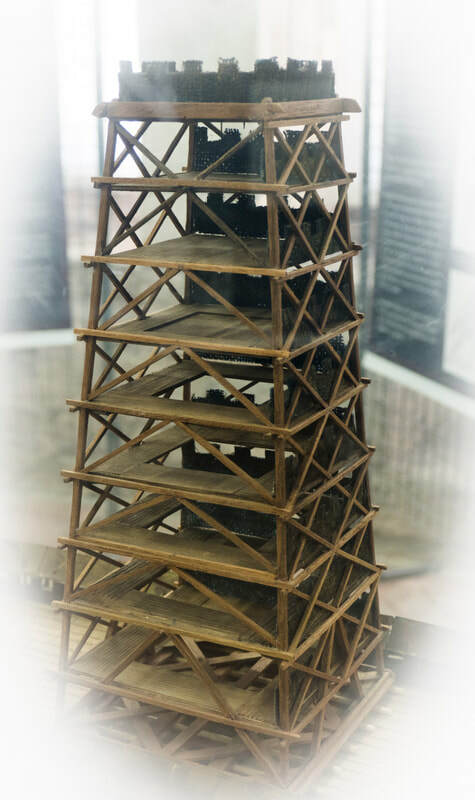 An exhibition designed by Jean-Pierre GIRAULT and realised by the Friends of the Raymondie Museum in collaboration with the Racines Association. This exhibition of photos, images, and artefacts, presents the richness of the megalithic past in the north of the Lot. It shows the emergence of the first environmental architecture. 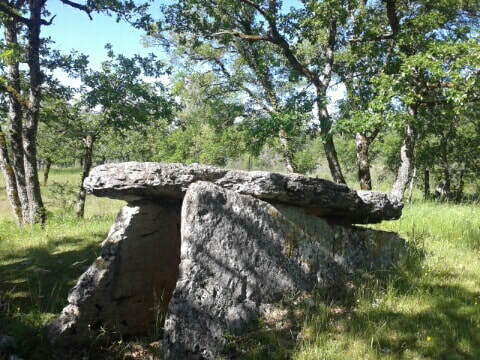 It is a way to discover one of the aspects of the late Neolithic lifestyle. Finally, it warns about the dangers that threaten this heritage and reveals its fragility. Representation of a battle between Romans and Barbarians in the 3rd century on the sarcophagus of the Ludovisi collection, kept at Palazzo Altemps in Rome. The Roman army was an essential element of the power of Rome. The Roman way of making war was characterized by a powerful heavy infantry organized into legions subject to rigorous training and discipline. The power of Rome was also based on well-organized logistics and a flexible organization. The other powers around the Mediterranean were repulsed or even destroyed by the Roman legions who knew how to adapt to the tactics of their opponents. 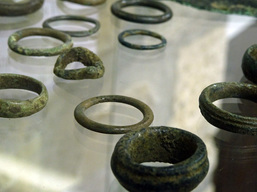 The UXELLODUNUM exhibition, created by the Association des Amis du Musée in collaboration with the Amis d’Uxellodunum, is built around the results of the archeological excavations carried out by the archeologist Jean-Pierre Girault. The exhibition illustrates the archeological research in the historical context of the site of the battle described in Caesar's Gallic Wars. The imposing Palais de la Raymondie looks down on the market hall in the heart of medieval Martel, the town of seven towers. Built between 1280 and 1330, the building comprises four wings. The central courtyard can be accessed by two arcades - by passing under the belfry facing the marketplace or passing by the narrow Rue Tournemire. To find the museum, from the central courtyard enter the building by the door in the left hand corner, at the foot of a tower. Climb the spiral staircase to the second floor. Further events, activities, visits and exhibitions : See Events coming up in 2019 for more details. 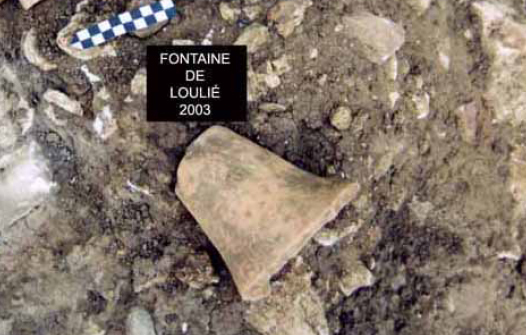 The museum contains objects dating from paleolithic, neolithic and Gallo-Roman occupations discovered during archeological excavations in the north of Lot, including arrow and spear heads found at Puy d'Issolud, the site of Uxellodunum, the last battle between the Gauls and the Romans. 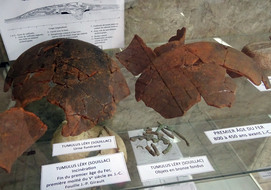 Among other exhibits is a collection of pharmaceutical pots dating from the 17th and 18th centuries, ancient maps - some dating from the 17th century, seals of the sénéchaussée and the town of Martel and, new in 2016, an exhibit on cave bears (Ursus spelaeus) including a complete skull found locally. The cave bear was a species of bear that lived in Europe during the Pleistocene and became extinct about 24,000 years ago during the Last Glacial Maximum, that is, the last period in the earth's climate history when ice sheets were at their greatest extension. The cave bear's morphology was somewhat different to that of modern-day bears. The design on the left is of the engraving at Pech-Merle in the "Gallery of the bear", dated as Gravettian - approximately 28,000 years old - like the rest of the paintings in the cave. 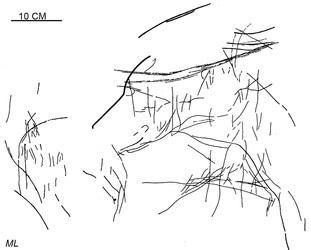 The design on the right is a sketch of the delicate engraving found at the entrance to a cave in the commune of Espagnac-Sainte-Eulalie that Michel Lorblanchet, prehistorian, studied, recorded and published as part of his thesis. This engraving dates from the Magdalenien III, stratigraphically dated at 15,000 years old. 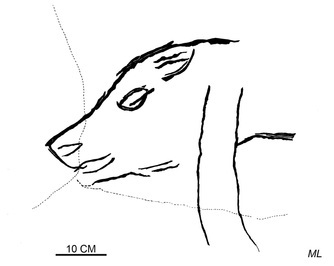 With this bear were found engravings of reindeer, horses and ibex of a magnificent style, much more naturalistic and detailed than the older paintings of Pech-Merle. These two images are the designs made by Michel Lorblanchet, honorary director of research at the CNRS, who has studied the decorated caves of Quercy for over 45 years.